To inquire into membership with NZ Asian Leaders, please contact Karinia Lee for more information. 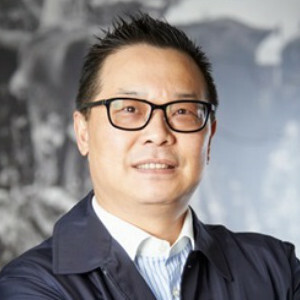 Alan Lai was appointed as Chairman of PGG Wrightson Limited on 22 October 2013 and has been a Director since 30 December 2009. Alan has served as the Chairman of Agria Corporation’s Board of Directors since June 2007 and is a member of Agria’s Remuneration Committee. Alan is the sole Director of Brothers Capital Limited, which is Agria’s largest shareholder. Alan is the Chairman of the Board of Directors, Chairman of the Nomination Committee and a member of the Remuneration Committee of China Pipe Group Limited, a Hong Kong listed company. China Pipe Group Limited is a leading provider to the construction and infrastructure sector offering a wide range of pipe related product and services in Hong Kong and Macau. His wholly-owned investment vehicle, Singapore Zhongxin Investment Co Limited, is the largest controlling shareholder of China Pipe Group Limited. Alan holds a Masters degree in Finance from The Chinese University of Hong Kong, a Bachelor’s degree in Accounting from Monash University, Melbourne and is a certified public accountant in Australia. Mr Lai is a Fellow of Monash University and also a member of the Global Advisory Council of the Faculty of Business and Economics at Monash University and was appointed as Vice Chairman of China Chamber of Commerce in New Zealand on 30th May 2015. NZ Asian Leaders (NZAL) is a professional organisation aimed at accelerating Asian Leaders’ contribution to New Zealand.